The smaller winter cluster is frugal, conserving resources to survive the winter. 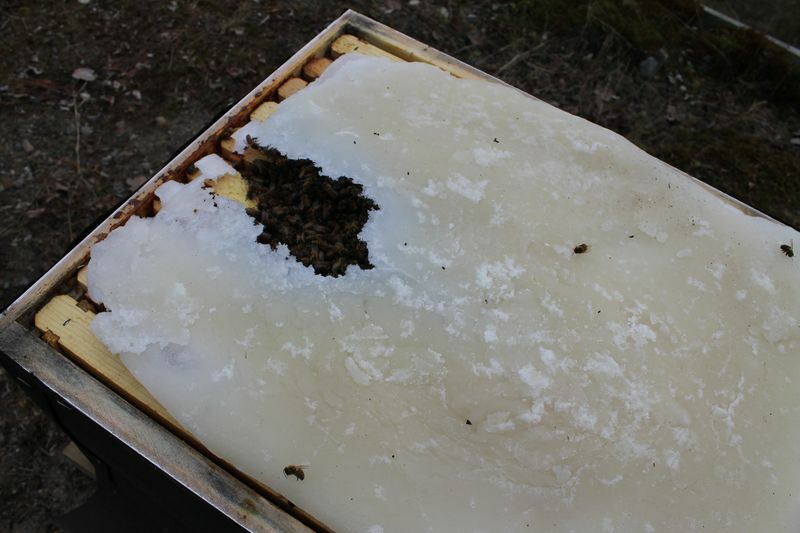 Spring inspections show honey stores still available. Here is an example of a sugar slab that has been placed directly on top of the frames. The bees have started to eat away the sugar. Once a hole is eaten, the colony begins to eat away the candy in a circular pattern that starts at the center of the hole and works outward. The sugar slab does not require a frame but the frame can be very useful. 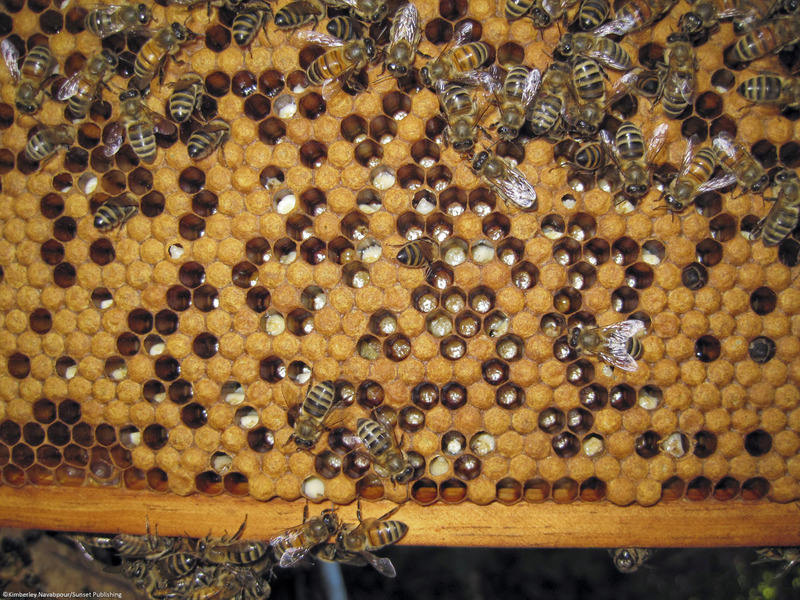 A wooden frame minimizes condensation in the hive creating better air circulation. The frame also keeps the hard candy from cracking while getting the feed to the hive.